This is a printable prayer card for the Christmas Novena. It can be printed and laminated for purses, wallets, or display to be used daily throughout Advent. It can also be used with a DIY Novena Chaplet. 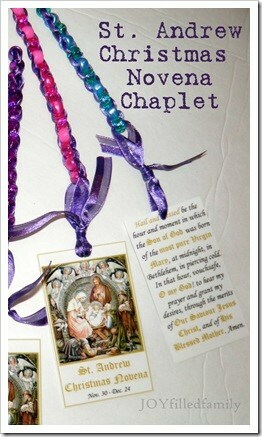 See this link for the directions to make your own Novena Chaplet.